Timeless and elegant, this diamond necklace is perfect to wear for any occasion, day to night. 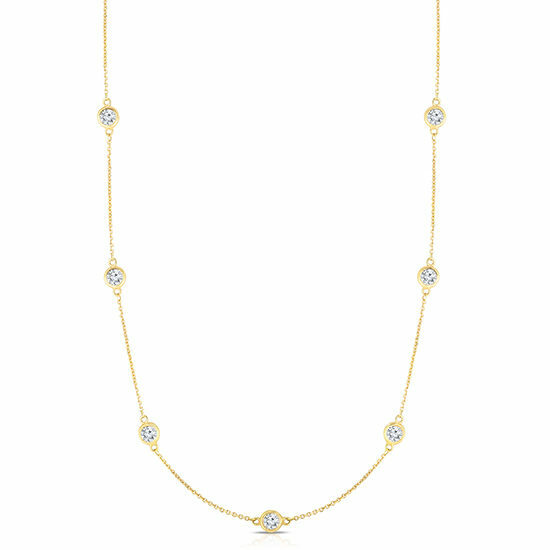 This versatile necklace features 12 bezel set diamonds that glisten and sparkle when they catch light. This 18” long necklace can be custom made in any length in the color metal of your choice. Ships In: Please allow 3-5 weeks to ship.